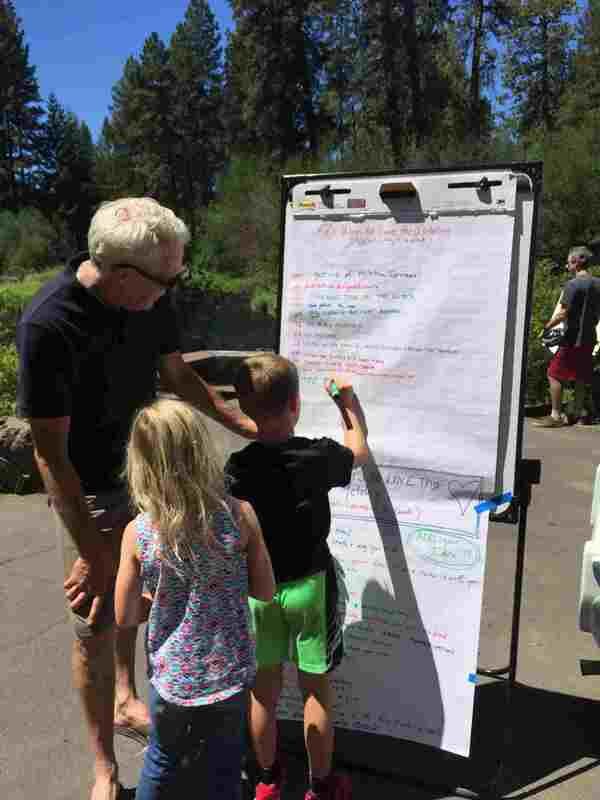 It’s the 50 year Anniversary of the Wild and Scenic Rivers Act and as part of the celebration Friends of the Metolius hosted a family friendly display at the Fish Overlook in Camp Sherman with information about the river and the Wild and Scenic Rivers Act. The event was on July 7, a busy weekend on the river, and was well attended. 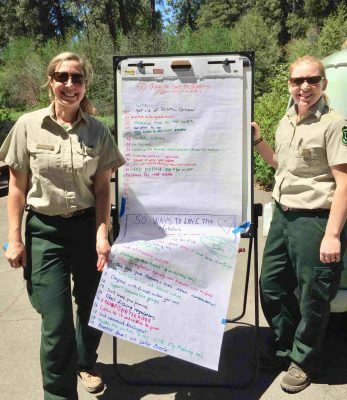 Forest Service employees Amy Racki (left), Recreation Team Leader, and Sommer Moyer, Special Use Permit Administrator, review some of the 50 ideas for protecting the Metolius. FOM board member Lorie Hancock provides information about the river to a visitor. 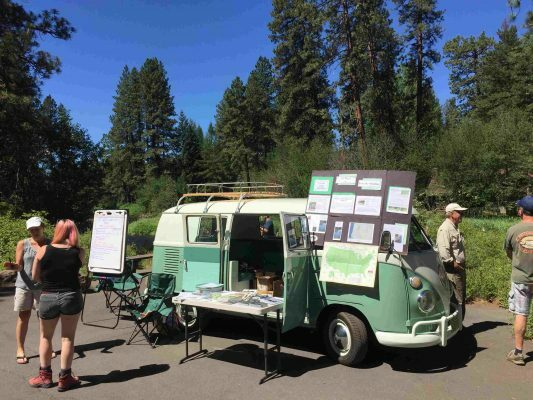 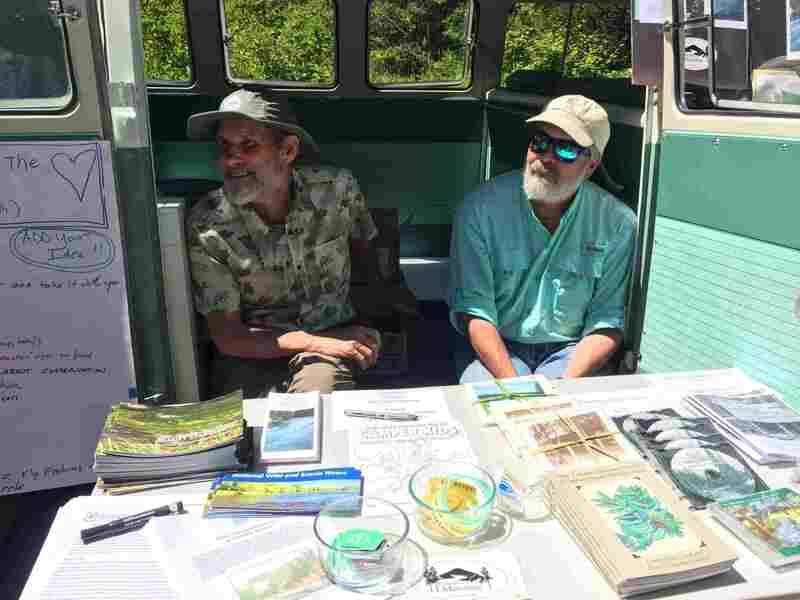 FOM board member Tom Landis (left) and retired Forest Service employee Rod Bonacker helped educate visitors about the Metolius and the Wild and Scenic River Act.